He received his education at Edinburgh, Scotland. He received the title of F.R.C.S (Eng) in 1857 & L.R.C.P (Edin) in 1860. He practiced in Brighton, England. A year before his death, he moved to Albany, Guilds Ford, to become a Catholic Apostolic church pastor. In 1867, he wrote ‘Manual of Pharmacodynamics’ & ‘Manual of Therapeutics’. He worked as an officer for the British Homoeopathic Society. He was the editor of British Journal of Homoeopathy. He also edited the 6 volumes of ‘Cyclopedia of Drug Pathogenesy’ & worked with T.F. Allen on his 10 volumes of ‘Encyclopedia Materia Medica’. He rendered immeasurable aid to Dr. Dudgeon in translating Hahnemann’s ‘Materia Medica Pura’ into English. In 1876, Dr. Hughes was appointed as the permanent Secretary of the Organization of the International Congress of the Homoeopathic Physicians in Philadelphia. He also presided over the International Congress in London. While compiling the Cyclopedia, Hughes decided to eliminate all the proving symptoms gained from the drugs taken at potencies above 6C. He said that, “It is necessary to understand the pathology created by the remedies on the organic level & it is the pathology level which has to be treated”. 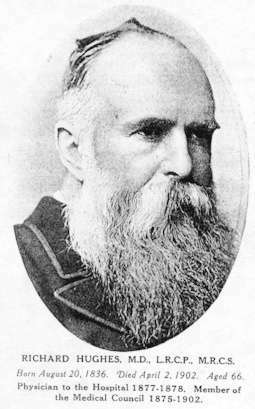 Thomas Skinner, a critic of Hughes’ approach, said that, “His concept of low potencies was ideal for those who need not wish to stay far from their allopathic training”. H. Clarke said, in regard to Hughes’ concept of low potencies that, “If it were put forward on the grounds that it meets, the requirement of those who haven’t acquired the necessary gifts to practice the higher grades & not being a scientific improvement on the Hahnemannian method, then little be said against it”. H. Clarke was one of his most promising medical students. 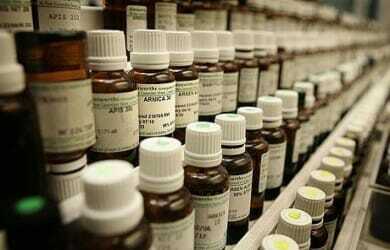 Hughes had appointed him as his assistant editor on the British Journal of Homoeopathy, in 1883. In 1868, Hughes’ ‘Manual of Pharmacodynamics’ was published. About this Pharmacodynamics, Burnett said, “We all fed on it”. Hughes’ work on materia medica will always remain very valuable. Hughes died on 9th of April, 1902. The essential character of Hughesian Homoeopathy was that it lay at the scientific end of the Homoeopathic spectrum of opinion. He placed the similia principle at the centre stage but his attitude to it was relaxed & non dogmatic. It was, he said, not a law of nature as Hahnemann claimed but simply a rule of thumb- a skeleton key to try in the therapeutic lock. It often gave the right answer but not invariably, nor was it the only key worth trying. For some disorders, such as angina, Hughes thought that allopathy was more effective. Hughes believed that, if you are serious about the similia idea you must take pathology into account. Hughes believed that medicines should be chosen not just on subjective symptoms they produced but on the basis of their known pathological effects on human beings & even on animals. Hughes also insisted that, in trying to find the correct remedy you should consider the time sequence in which symptoms occur. It was not enough to look simply at lists of symptoms recorded in the provings. Each disease had its characteristic sequence of symptoms & one should try to find a remedy with a similar pattern of symptom development. Hughes looked Hahnemann’s writings as a whole. He carefully charted the way the Master’s thought had evolved over the years & was not afraid to say in what ways he thought it had changed for the worse. He pointed out that; Hahnemann’s laying down the rule that the 30th potency should be used for all purposes had fossilized homoeopathy most undesirably. He also showed that the so called provings of ‘The Chronic Diseases’ could not have been carried out in the same way as those of ‘The Materia Medica Pura’ & so could not be relied on as accurate descriptions of the effects of the new medicines. Hughes’ contribution to Homoeopathy was not confined to critical discussion of Hahnemann’s writings. His most important undertaking was undoubtedly his attempt to revise & purify the Homoeopathic materia medica, which resulted in his writing the rather ponderously titled Cyclopedia of Drug Pathogenesy. The 4 volumes of the Cyclopedia took 7 years to prepare (1884-91). It was a joint enterprise in which, the British Homoeopathic Society collaborated with the American Institute of Homoeopathy. Hughes’ intention was to include all the reliable information available in his day apart from that in Hahnemann’s writings. A number of rules were adopted to eliminate untrustworthy reports. No purely “clinical” symptoms were included, of course, & nor were symptoms obtained with high dilutions (above 6C) unless confirmed by provings of more material doses. A very important feature was that all the provings were given in narrative form so that the way in which the symptoms had developed could be read & understood. The Cyclopedia was a unique attempt to present a truly critical collection of the material medica & demanded a high degree of dedication from its readers. Even though the symptoms were presented in narrative form rather than as lists. It took considerable courage for a doctor to declare himself a Homoeopath in Hughes’ day; nevertheless Hughes seems to have felt no reciprocal hostility for his orthodox opposite numbers & indeed in his last published work, ‘The Principles & Practice of Homoeopathy’, he made a remarkable plea for reconciliation. He was well aware of the many shortcomings of Homoeopathy & of the “fancies & follies” that had become incorporated in it. What was needed, he said, was for orthodox doctors to bring their resources of time, expertise & intellect to bear on Homoeopathy & help to put it on a sound scientific footing. Selection of similar remedy means comparison of disease symptom with drug symptom,Richard huges is of the opinion that when considering the similarity between the drug and disease action,, there should be similarity between generic specific and individual action of both drug and disease. The drug should be febriginic in inflammation the drug should be an irritant. Specific morbid state originate as the gradual result of the interaction between the organism and its environment ,it cant be more similar to the disease causes but may meet corresponding areas in the living organism changes in the state of health so specific similarity can be found out by compariaring the various common ailments in diseases & drug action . Seat of action – the drugs should have same Seat of action as that of the disease . Kind of action – the drug should corresponds to the underlying pathological process . Nature of the aetiology & modifying cause – this can be subdivided in to mental & physical in origin . then such definite causes are present that is exposure to dry cold , injury etc the drug should also have similar aetiological factors associated with it. If these five points are found in a drug then ts known as pathological similimum . Hahnemann believed in illimitable possibilities in medicine, because he believed in God. The Hahnemannic pathology is a living one, He varied from time to time as pathology itself varied. 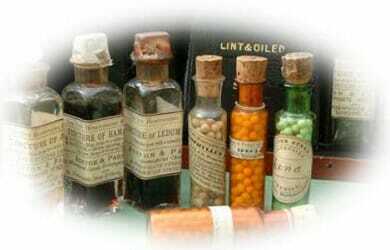 Hahnemann’s ideal Homoeopathy was to obtain a group of medicine for each morbid species. Similarity between disease and drug-action should be GENERIC, SPECIFIC, and INDIVIDUAL.